Every club player knows the problem: the opening has ended, and now what? 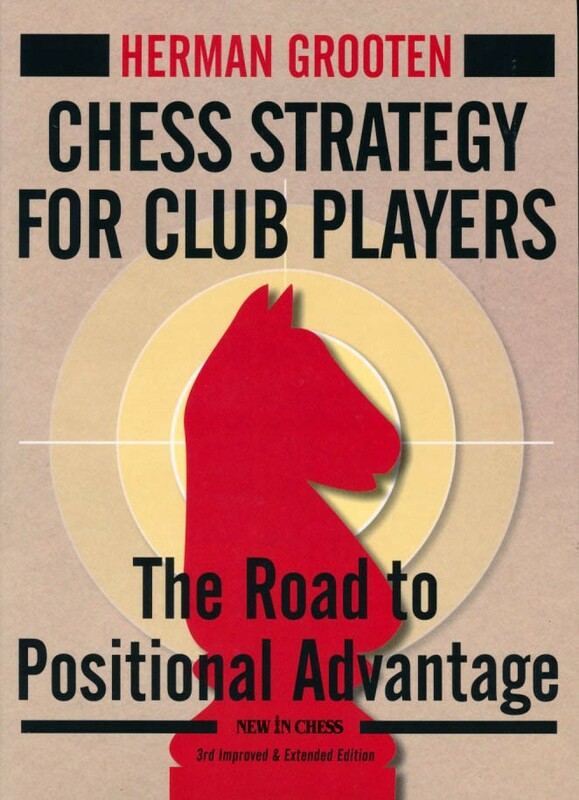 With this new edition of his award winning book, International Master Herman Grooten presents to amateur players a complete and structured course on how to recognize key characteristics in all types of positions and how to make use of those characteristics to choose the right plan. 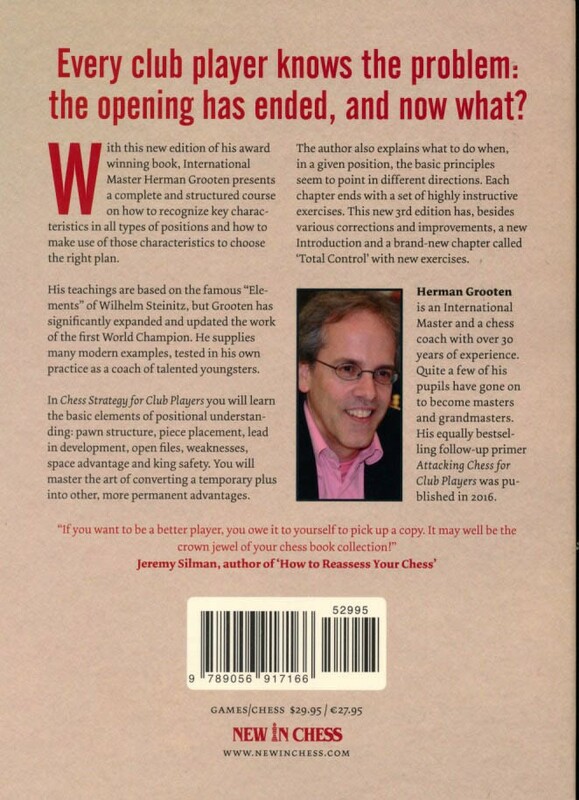 His teachings are based on the famous “Elements” of Wilhelm Steinitz, but Grooten has significantly expanded and updated the work of the first World Champion. He supplies many modern examples, tested in his own practice as a coach of talented youngsters. In Chess Strategy for Club Players you will learn the basic elements of positional understanding: pawn structure, piece placement, lead in development, open files, weaknesses, space advantage and king safety. You will master the art of converting a temporary plus into other, more permanent advantages. The author also explains what to do when, in a given position, the basic principles seem to point in different directions. Each chapter of this fundamental primer ends with a set of highly instructive exercises. This new 3rd edition has, besides various corrections and improvements, a new introduction and a brand-new chapter called ‘Total Control’ with new exercises.